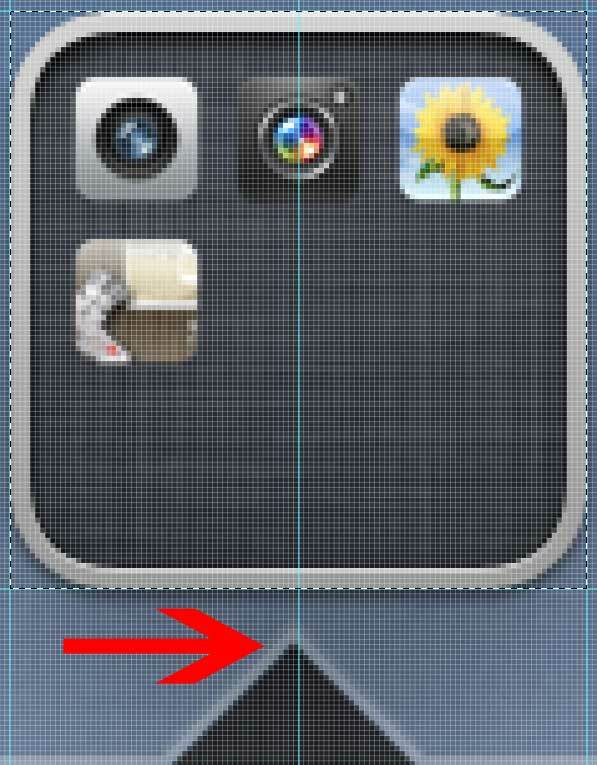 I KNEW that stupid triangle underneath the iPhone’s “folder” icon wasn’t centered! Hi Ryan. If this wasn’t interesting, why leave a comment at all? Do you feel cheated because another blog promoted this story as an “actual design flaw” when in reality, it very well may have been intentional? I have no insight as to why it is aligned this way, so for all I know, this could have been done on purpose. Hi Chris. Which wallpaper are you referring to? My blog’s background image? Now that pisses me off! Nice to have hard evidence eh? I haven’t upgraded to Lion yet, so I wouldn’t know. Does the Lion version line up the same way? Hello. I just wanted to say that there have been some insulting and offensive comments, so they were removed. I don’t maintain this blog because I’m hoping to meet the worst of the worst on the Internet. You’re free to speak your mind, but please don’t be disrespectful or hateful. As for the post itself, it’s a simple observation on something that I was curious about. It definitely is not a comment on the quality of Apple’s UI team or the product. I write little observations about Apple products because I love them so much and use them every day.